With the Supreme Court striking down the Reserve Bank of India's (RBI's) February 12, 2018, circular, the resolution of default accounts, which were filed in various tribunals under the Insolvency and Bankruptcy Code (IBC) after the circular was released, will get delayed further. For erring promoters, it comes as a shot in the arm as they will get an opportunity to resolve their accounts with the banks. Bankers said the SC verdict might prolong the resolution process and force lenders to bring back cases to the drawing board. "Despite the quashing of the circular, banks will continue to have the option of referring such defaulting borrowers under the IBC, in case the resolution plan fails," said the head of a large public sector bank. "It would not impact the reported asset quality numbers. However, the resolution process, which was expected to be expedited, may get delayed," he added. The experience of banks with IBC cases so far has been mixed, with banks taking an average haircut of 50 per cent and more in these accounts. In cases like Alok Industries, banks have taken a haircut of 85 per cent. The good news for promoters is that they will be able to resolve the default accounts faster, as long as 66 per cent of the consortium agrees to the settlement, compared to 100 per cent voting required under the scrapped RBI circular. The IBC cases, which were filed between June 2017 and February 2018 and have already been resolved, will not be affected, said corporate lawyers. "The IBC cases filed before February 12 will not be affected as the order has not said anything specific about these older cases," said R S Loona, managing partner at Alliance Law. Amit Kapur, joint managing partner, J Sagar Associates, said the cases that the RBI had asked banks to take for insolvency proceedings (12 cases in the first list and 28 in the second) would not be affected by the SC verdict. The reference for IBC action happened before the February 12 circular came into force. 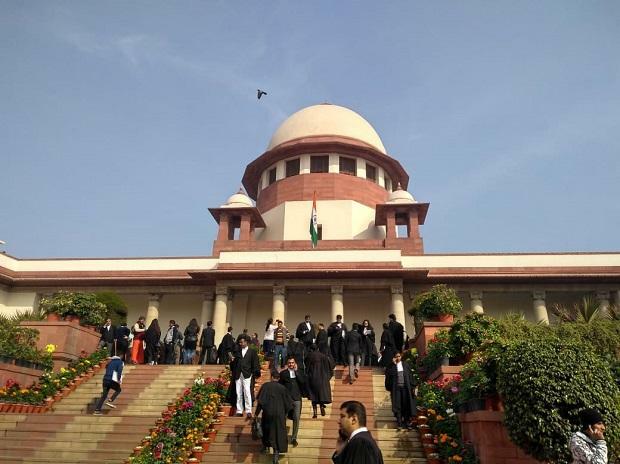 "The SC verdict reaffirms the power of the regulator and lenders to refer cases for resolution based on reasonableness and in accordance with the laws," Kapur said. According to the circular, banks had to refer companies to the National Company Law Tribunal (NCLT) for debt resolution, even if there was a delay of one day after the 180-day grace period. The circular also mandated that if 1 per cent of the voting power of the committee of creditors disagreed with the resolution plan, it could be sent to the NCLT. "Now, as the circular itself is invalid, the reference to the NCLT is invalid. The management of these companies will cite the SC judgment and ask to be pulled out of the NCLT," said a bidder of a stressed asset, adding: "So, there is uncertainty on all the work and the bids for these assets". The chief executives of various stressed assets said banks sometimes sent them to the NCLT, even when only one bank disagreed with other consortium members. "Arbitrary action of banks by referring companies to the NCLT, despite a viable resolution plan, acceptable to other lenders of the consortium, has resulted in huge value erosion for banks and massive job losses," said the CEO of a company that has been referred to the NCLT. Citing an example, the CEO said in the case of a telecom infrastructure company, around 125,000 direct and indirect jobs were lost, after one bank with less than 5 per cent voting power did not clear the debt resolution package agreed to by other banks.